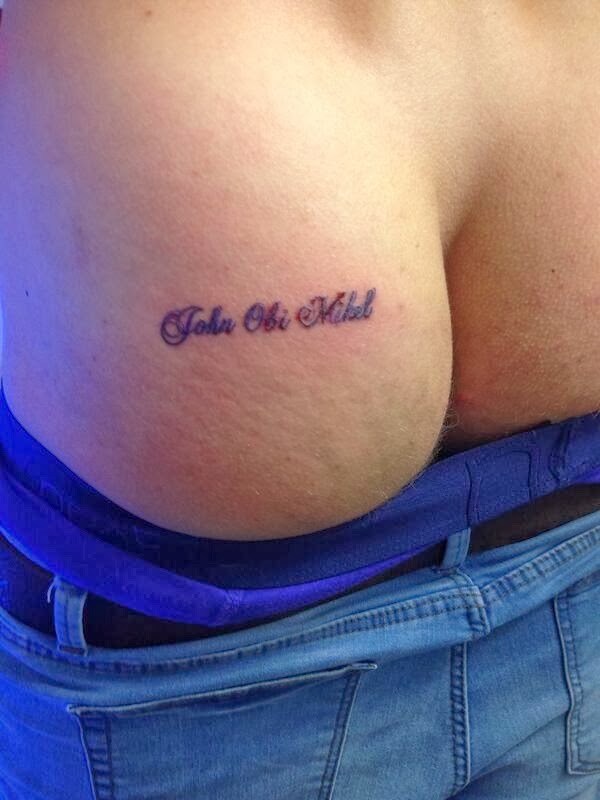 A Chelsea fan, named Lee Mitchell, has got a tattoo of John Obi Mikel’s name on his bum. 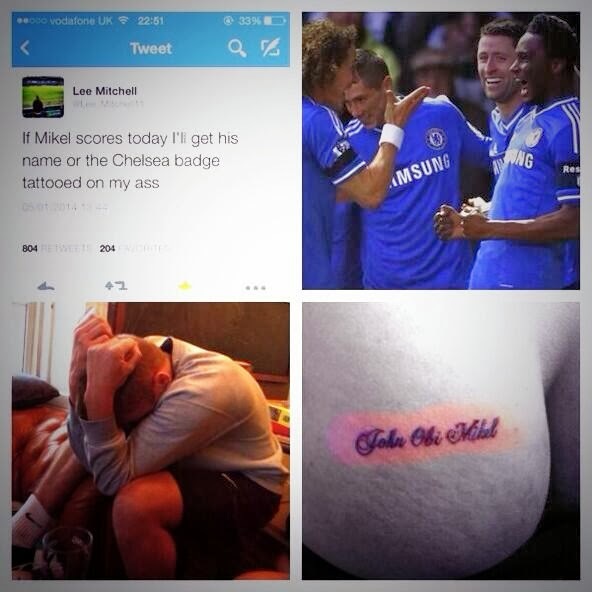 Mitchell tweeted before the FA Cup match saying ‘If Mikel scores today I’ll get his name or the Chelsea badge tattooed on my arse’. Unfortunately for Mitchell, the Nigerian midfielder broke the deadlock with a fine header.